A bonker’s game with a bitter aftertaste, but the positives are sweeter than our senses allow us to register. On the other hand, the Pool players will have been feeling very high on getting away with a bad performance and the joy of such a fine free-kick going in at an away ground. Klopp then said to his attackers that they have to force themselves closer to Arsenal’s ‘D area’ and get in between the CBs and the wall of CoqElneny. He also will have told them to target Arsenal’s left flank as much as possible…. and as we know, it worked a treat for them. Bang Bang BANG, three goals in quick succession and we all felt sucker punched in our reproductive area. Everything that could go right for Pool went right and sometimes this happens in football (we had it against MU at home last season). It was a clever tactical adjustment by Klopp and he deserves credit for it. It also exposed a weakness we were aware of: a young CB pairing of Holding and Chambers would not have the experience to deal well with the initial blow, something that would not have happened with Koz and/or the BFG in defence. However, credit to the team for fighting hard and getting two goals back, and with a bit more luck we would have gotten what we deserved.. a draw. At the start of the season it is quite normal that a game goes out of control, especially with a makeshift central defence. Of course it is very attractive to come up with all sorts of ‘I told you so’s’ and ‘we should have done this or that’ but it is just the opening game of the PL for us and things went off the scale after the break. I have seen enough – especially based on our firs half – to believe we will have a very good chance to win the league this year. I predict two clean sheets in our two coming games in August, and plenty of goals. Holding and Bellerin held their side of defence really well and had a good connection. I don’t believe our loss was all down to Chambers and Monreal failing the left side of defence, as all defenders have a duty to defend our box when the ball gets played in, but it was quite obvious that we were porous from the left, and the Pool attackers, just like the MC attackers did last week, penetrated us there time and again. This needs immediate attention. But Holding was calm and classy throughout the game and as it stands it looks like Chambers is the one who will lose out when Koz returns. We scored three times, and could have had more. I am pleased to see our goals being scored by different players and that we did not just feed the ball to Sanchez time and again to produce them for us. Alexis worked hard and created space for us, just like Ollie so often does, and we found the net through Theo, Ox and Chambers. Many will miss the importance of Alexis’ selfless team play yesterday, but Wenger won’t. We are getting goals and assists from our ‘mid-wingers’. This is the one position where I felt we needed to improve the squad, but with goals from Theo and Ox from the wing and a peach of an assist by Iwobi, we had a very nice return for those positions. The wall of Elneny and Coquelin did very well, especially in the first half- my favourite match reviewer on the ‘ArsenalArsenal’ blog called them ‘the dogs of war’ which is exactly what they were. I feel that they were also at fault for Pool breaching our defence so devastatingly in the second half, so a bit more work needs to be done. But I loved the way they bossed the midfield in the first half and supported the attack in putting pressure on Pool’s defence. Le Coq’s tackle that led to the first goal was a pure delight. Not the start we wanted, but still some good positives to take from the game. Let’s hope we will get a good CB to strengthen our defence and/or that Wenger and Bould find a way to steady the ship this week. This entry was posted in match review, Uncategorized and tagged Arsenal, Holding, match afterthoughts, midfield battle, premier league, squad depth. Bookmark the permalink. Well its good to know that the world did not end yesterday. Reading some blogs one may be forgiven for thinking the season was 5 games long..
Good perspective TA! 🙂 Yeah – quite disappointed that we couldn’t secure a draw, but…here’s hoping that we go on an unbeaten run like we did last year. I am even more optimistic about the Holding-Chambers partnership (until Kos returns) after this game despite the defeat. I thought Pool’s new guy Klavan had a real good game. If he plays like this the entire season then he is a great find by Klopp. I thought that we would target Moreno and Lovren more. Maybe Wenger thought that Klavan would be easier pickings? The next game should be interesting given Leicester’s defefat. Walcott was useless. His goal just put some gloss onto another very poor performance. He did not complete a single dribble. For winger thats very poor. Ramsey back to his indisive self. Another poor perfoamance. They together with Nacho should not be in t he first team. Cheers StH, I reckon there is still time for the partnership and I like your positivity, but I am hoping Koz is back for our next game. Here’s what I think… (And I doubt I will spend much time reading other blogs, nor too much time trying to talk down our own doomers…). Every game is up for grabs and Liverpool grabbed this one, this time. Credit to them. Now we need to do likewise with our two away matches here in August AND grab some new players in the market to try and create some positive feeling around the team. For these next couple, at the back, I fully expect Kos to play either with Holding or the new signing, Mustafi, and for our chances to keep clean sheets to go up. Nacho will have to do better as a first line of defense, however, and, if we cannot further unsettle Mahrez (or if he is giving one last showcase performance against us), I fear for our guy. Maybe if Alexis is back at a left winger spot we can control that side of the pitch just a bit more. Overall, I think we have to look at the fact that it’s bound to be a very wide open league this season and that Liverpool (and several other teams) are good enough to be part of that scenario. The better team (or club…) didn’t win yesterday, but that happens. While I wish we could make the Emirates a fortress, that’s not a reality either. So, travel on team (including the scouts and management figures trying to lock down transfers) and, fingers crossed, better things lie on the (near & far) horizon…. I reckon we should see Giroud and Ozil getting back anyway now as they had a long break since the Euros finished. However, Wenger can play Jack (on the bench yesterday) or Cazorla in Rambo’s place and Joel or Ox instead of Iwobi, so I am not too worried either way. I reckon Elneny’s special awareness and positioning did a lot of the damage to Pool’s attacking play and helped us a lot in dominating midfield. However, I think he and Coquelin left our defence exposed in the second half by not playing close enough to them, with disastrous outcomes. We will improve on this though. TA, I have my pre-review comment to paste in, but I would like to set the scene first. I am somewhere between your positives, and a negative view. The biggest positive, short of getting a draw, was the fact that with just 36minutes left we were 1-4 down, yet came away with only a minus 1 on our goal difference. It was a game of two halves, and the second half was another split. I think you may be right in say that we dominated the midfield, mostly by the high pressing of Elneny and Coquelin. However, for the most part it did not convert into goals. We did have shots, and even a penalty, but nothing in the way of goals. I have no idea what the thinking was for Theo to take the pen? Apparently we have now missed three of the last four … having scored 28 out of the previous 29? To me, Alexis is not the answer to our need for a centre forward. Just wide of centre, fine. Trying to get the better of two CB’s, when he already attracts plenty of attention, meant he was constantly shuffled along the line of defenders until he had to pass wide. Again, partly compounded by Ramsey making the runs he would make, which when they are both out wider, one is the dummy runner the other the real thing, and the CF commands the defensive attention? Iwobi also had an in and out game. Great on the assist from the middle of the park. That pass and move plays to his strengths. Out on the left, and we know he is only there because that is where the vacancy is if you move Alexis inside, he does not have the quick options he has in the middle, and so when he turns back or inside, the moment of the attack can slow down. He is not Ozil, but that was basically the role he was given. Very unfair on him, imo, although if he played where Ramsey was, and Ramsey dropped deeper for the B2B role, it might have been another story. Perversely, on one the few occasions he tracked back and made a tackle was where he got his injury(hamstring I’d guess?). Another slightly square peg thing? Anyway, my overview from the previous post coming right up. You have to see how the team was set up, to see where the failings were. Anybody feel free to correct me here, I’ll just put these ideas forward. Remember, this is not a reflection on any player, just an overview with those that were selected to start. With Cech in goal, Bellerin, Holding, Chambers, Monreal the defensive line. Now irrespective of who was in front of them, it was clear that the instruction to both FB’s was not to get too far up field, especially Bellerin. In front of those, were Elneny and Coquelin, and behind the attack was Iwobi, Ramsey, and Walcott, and Alexis as the central striker. It appeared the instructions here was, that with both backs staying in their own half, Elneny and Coquelin could ‘high press’, with Walcott and Iwobi providing the width. Alexis and Ramsey providing the movement and threat up front. Now I can tell you there was no change in that plan going into the second half. We took the lead, and were somewhat unlucky to concede the free kick that they scored just on the stroke of half time. I say unlucky, because it appeared that Holding only put his arm across the player, not the full on grappling that happens every time in the penalty area which never gets punished? What made the player fall down I leave it to you to decide. But even with that, the defence appeared to be quite sound, despite the youth and inexperience of our CB’s. It was 40 minutes before Chambers played a loose pass square, which was cut out and left our defence 2 on 2. It came to nothing. That was his only mistake, and he made some good interceptions. So what went wrong in the second half? Well Klopp clearly saw what Bould and Wenger didn’t, or they would have corrected it? It was the weakness of the entire plan, that got masked by the scoreline in the first half, and boy didn’t Klopp exploit it well. The weaknesses I speak of were these: By allowing both DM’s forwards, rather than pulling Ramsey deeper, meant the fullbacks kept closer to the CB’s, closing down the space rather than tracking their runners. Because ‘Pool were attacking down the middle, that shifted our defence to the right. I saw at one point Chambers was further right than Holding, who correctly moved to his left. Even Monreal was in the LB position at one point? This happened throughout the first half, yet we conceded only one goal, in a central position. In the second half this meant Mane could come inside and only be challenged on the edge of the box, but wide outside the very speedy Clyne had a free run because Iwobi also got drawn to the middle, him being a more attacking midfielder. Liverpool exploited this quite ruthlessly. But you cannot point the finger at individuals. The 3rd and 4th goals were both conceded because other players were out of position, or not covered in the way they should have been. Monreal was hopelessly left guarding three players from a corner situation??? He moved from the one in the centre of goal to the two unmarked wide players, with the commentator saying he should have been closer to the scorer …. What, and left the guy in the centre of goal a free header??? Chambers likewise was being turned inside out on the edge of the box by the breakaway scorer Mane. For crying out loud, Chambers is a CB dealing with a very expensive, and very quick winger. If the FB was caught upfield, where were the DM’s? In this case it was Ox, brought on to attack, but somebody should have got across to help Chambers? So it is no point saying the goals came from Chamber’s side, because they also came from Monreal’s side, from Iwobi’s side, from Coquelin’s side??? What I found frustrating was that one side saw the weakness, the other did not plug the gap. Gerry, we had a goal and a pen, which should have been our second goal… Not following you there. Our tactics were spot on and had we finished the first half in front, I reckon we would have played more solid at the back/deeper. We did not and they managed to get between our defence and DMs with devastating consequences..
Where is AB these days. We need his voice of reason. What a boring game in west London. The best game of the weekend was at THOF, such a shame we did not get any points from it. Guys you’ve all done a great job dissecting the match, and i dont feel i have too much to offer in addition. Just a few points. Absolute disorganization with our golden boot candidate, playing striker, a man with penalties experience in copas america, (i think), pressure situations with Barca… but Walcott assigned to penalties. Rank stupidity in my opinion. I would’ve been so happy for theo if it went in, but i couldnt believe my eyes when he took the ball. Alexis hasnt extended his contract, and something like this doesnt help. If you want him to be our star, treat him like one. He’s a competitor, and goal tallies matter. I would’ve gone Alexis left, Theo cf, because of Alexis defensive help and EXPERIENCE in the position. Not an experiment up front. When Mertesacker went down, we shouldve slightly increased Koscielnys work outs to get him ready for this game. Especially if Arsene had no intention of bringing a cb quickly. On the positive side, I loved the choices of coq and el neny together, they were great in the first 45. I’m a big Arsene fan, but our record in recent opening day matches can’t be explained away as coincidence…. Sloppy Transfer market indecision,- uncertainty, related to tight purse strings, or just bad preparation must point the finger somewhere. What was the date that Mertesacker went down? And still no help in the position. I love the captaincy situation also… no doubt we will be the first club in history with a posthumous captain someday. Well written JNYC. Pretty much agree with all you wrote. The posthumous captain isn’t that far from the mark. To add further to that, when will we actually get a real captain, someone who actually leads the side but example. It’s been a long time since that last happened. I was suprised to see Walcot as the penalty taker. Walcot cannot feign which everybody including the Liv keeper know. His only option is therefore full power, good angle, right height (low or high). He went for none and his shot was saved. I would have thought that a clear hierarchy of penalty takers aught to be in place. If you ask me, Sanchez, Ozil and Walcot would not be very high on the list. My list would be Giroud, Elneny, Santi, Wilshere, Ramsey, Xhaka, Welbeck, Oxlade, Monreal Iwobi, in that order depending on who and who are playing. X-Ray eyes, you would say. TA, on your ‘not following you’ point. What I was trying to say was, with midfield dominance you might expect to have plenty of scoring opportunities? It did not happen in the first half because much of the game was fought out in the middle third. That applied to both sides. In the second half, Klopp turned the creative switch on …. Bingo! Alas, mainly because of selection, which I pointed out when the line up was announced, we did not have an experienced creative player behind the front line. It was left to Iwobi, who not only did not have the freedom to roam that Ozil has, it was expecting a lot from a young player in only his second season. The fact that he did get an assist shows his potential for the future? However, the whole point of my comment was to look at the structure of our game, not to apportion blame to individuals. Iwobi was damned if he left the wide berth, damned if if he didn’t stay close to the front line, and cursed with an injury when he attempted a tackle. In fact you could go through the entire team practically and ask a simple question; Which player was capable of playing to their strengths? My answer would be Cech, and the two CB’s. The latter, when left to defending inside the box. Their mistakes came from trying stuff outside the box? But instinct takes over sometimes. The two FB’s were not. Monreal’s strength is shepherding players down the line when defending, and putting overlap runs in attack. Bellerin was great in defence, but his overlap runs were absent, and that impacted on Walcott’s ability to get beyond defenders. Elneny is someone who is difficult to pin down what he does do, but he does it very effectively. In this game there was never room for him to pass and move when so much of the play was cramped in the middle third. Coquelin is best when he does not try to be creator or goal scorer. The nature of this game where ‘high pressing’ played to his strength in tackling, but not to any quick or incisive pass under pressure. Ramsey, whatever he does for Wales where has a world class performer alongside him in the shape of Bale, who will draw defenders to him, had no such luxury in this game, so he did well to get the chances he did. Alexis, as tricky as he is, he is not at his best in a crowded box. In fact it was Ox, when he came on, showed what can be done from starting out wide …. where Alexis normally plays. Walcott is not a dribbler. His strength is pass an move … into space. Moving from central to wide can work for him, as can the coming from wide at pace. He too did well from limited opportunities. Iwobi, I have already described what he was up against above. Now it would be easy is to say that I am asking Liverpool to play a different game to allow our players to play better? No, what I am saying is, both sides nullified the attacking play in the first half. In the second half Liverpool simply used their two creative players, Courtinho and Firmini to exploit our weaknesses. Whereas not only did we not cover the major weakness, i.e. the left side of defence moving to the centre, which I repeat, was apparent throughout the first half, but also we did not have the creativity in attack, until the subs came on, to not only relieve pressure, but to open up their shaky defence. That is what has got to change. Either from the outset, or during the game. However, this was the first game of the season, and I can understand the nervousness about our young CB pairing. But any compensation given to them should have been spread throughout the team, not left to our No1 LB to do 3 jobs! On Saturday, TW activity not impacting, I hope the CB’s are left to do their job inside the box, and others do theirs around them. Further forward, I hope we have DM’s doing their defending, and capable creative mids releasing our attackers. Can I just add a reminder to the Fantasy players to get their entry, as the League starts this week. Apropos the above – Cut off time to enter for Gameweek 2? T, in my case, my reaction if Alexis had missed would have been that we are cursed. And i would have had theo playing up front, not an experiment with Alexis in our first real match. But i wouldnt have complained about the choice of our star attacker taking the penalty. I still love Theo, but he wouldve been my second choice for pens from that group. I hope we go on a great run, but have you looked at our opening game record from the past few years? Do we really think it’s coincidence? @Gerry.. Sorry to disturb you.. I don’t get what you mean about the game / league.. Is it like old days..?? We picked who win or draw..?? I search in this blog.. but I can’t find link to your league.. is it a different blog..?? All the rules and point scoring are there, but the basic one is you have £100m to spend on the players listed, 15 in all, but you can only have 3 from any one club. However, the players are competitively priced so you have to compromise on who you would like, and who you can afford. That should be fantasy! Doing this on my small tablet ..grrrr! Hi guys , thanks for the analysis and reviews of the game. I needed bit of time to step back from the footy and reflect. I can’t disagree with Arsene that it was a game of two halves! I do however find it difficult to take that we haven’t got that experienced centre back way before the game but hey.. in my last post I backed Arsene overall as he identified key issue number 1 which was leadership. The question was will it be enough come Sunday gone.. and that was answered ruthlessly 😞. The problem is that leadership begins with the coaching team and they first needed to convey the right tactics upon which we could be lead into second half battle. I thought we should have played much more compact and used counter attacks before the game given our defensive inexperience and weaknesses. In my opinion this was needed more than ever in the second half. The lack of experience, tactical nous and leadership was exploited really well by Klopp’s men so fair play to them. Hoping for an experienced defender to come in but also a raising in our game tactically and leadership wise. Watched it today already knowing the result. I thought we had a decent first half. Liverpool pressed us really well, which prevented us playing through their lines (Xhaka and Ozil will help with that) , but it is why Elneny was playing deeper than Coquelin and he kept it tidy if not spectacular. No complaints there. We in turn were also pressing Liverpool at the start, but this did not last very long. One of the culprits here was Ramsey who I caught just ambling along at times, maybe unsure of whether to press or drop off. He also had a couple of poor touches, but that is just by the by. Still, some really good moves which might have led to a goal, though Liverpool were causing problems down our left. Walcott did well to earn the penalty, did horribly to not score, and did very well to score. Was anonymous the second half until he trod over the ball right at the end. About sums him up. He’s only a luxury player as far as I’m concerned. Second half. We started like sleepwalkers. Probably stung by that brilliant free kick, but that is no excuse. For each of the goals, multiple errors. The second goal, Bellerin got caught on the inside, and Ramsey made a pretend, half jogging, tracking run which allowed a right footed cross in to Lallana. Cech should have stayed on his line. Monreal was a little slow but was still there to cover from a tight-ish angle. The third goal was the worst. A nothing run and cross from wide (again our left side) turned into a goal because neither Bellerin, nor Holding were aware of Coutinho in the box. What’s more, there were two more Liverpool players unmarked in the box with both Elneny and Coq just standing around. This was repeated when Firmino danced around Chambers and put in a cross for Coutinho with the defense again just standing around. Cech saved however. The 4th goal, I have less of an issue with. Chambers could have fouled him but Monreal was there on the cover, and Mane’s run and shot deserves some praise there. Much like Ox did a minute later. It wasn’t until the 70th minute that our midfield started to regain some control, and that was partly down to the fact that Liverpool were winning comfortably and unwilling to push ahead. Santi instead of Ramsey probably helped too. Xhaka for Elneny perhaps but probably less so. The fact that we couldn’t bring on Akpom for the final 15 mins was frustrating. He really couldhave made a difference, but then Ox and Santi for both injured players already had a positive effect, so it’s hard to complain. I don’t think this was really to do with transfers. Experienced signings can also make mistakes, especially when they are new to the team. This wasn’t even down to fitness even though Liverpool obviously had the less disjointed pre season. This was, unfortunately, to do with us getting too easily disheartened by conceding the equaliser and then the 2nd goal, and abandoning our responsibilities to try and make up for it. A mental problem if ever there was one. People might point to leadership, and I suppose there is a point in that following yesterday. But I don’t agree about captains. For one, you don’t need the armband to actually lead, but more importantly, who was Liverpool captain? Jordan Henderson. Pity we had to open against such tough opposition right after the Euros, but so it went. A game which we could have won, or at least drawn, led to a defeat because we weren’t focused enough on our jobs. The return of our best defender, best midfielder and best striker will make a huge difference, as will the likely increased role for Xhaka and perhaps Cazorla. Still looking to the transfer market for help, but not too obsessed by it. Hopefully we’ll get the needed, but this loss was not down to transfers. Must do better, and I still believe we will. I watched ‘the Breakdown on the ‘Player, and he saw it much as you describe. Although he suggested fitness, the lack of, as to why we could not really press home advantage in the final 15 minutes. Thus supporting AW to some extent? They were given double training sessions, or so I read? That’ll teach you for reading other blogs TA ha ha. I at least, concentrated on how we played with the players out there. But rather than apportion blame, I thought the overcompensation for our novice CB’s had more to do with the loss than almost anything else … but we disagree on what each of us saw? It is possible some level of fatigue played a part, but I don’t apportion to it a major role. The game was not lost in the last 15 minutes. It was lost in the first 20 of the second half, and that was nothing to do with (physical) fatigue. As to the tactical play. I agree that the fullbacks stayed further back than usual. I however disagree that the midfielders were playing too far upfield in the first half. Except when they were pressing early on, which they did very well. In fact, usually Elneny was really far back, almost playing as a 3rd CB at times, in an effort to find space past the Liverpool midfield. This is where Per was a big miss. He helps us pass the ball out from the back very well. Also, it appeared to me that the fullbacks didn’t get much support from the wide players. Iwobi specifically has a lot to learn about efficiency, both on the defensive and offensive end. He’s very willing but often doesn’t get back in time. He also misses some good opportunities with his final ball. Not blaming him, just calling it like I see it. He does have a lot of upside and potential so I don’t see these as major problems. Ox was chasing down the play better (until one inexplicable moment right at the end when he stood off after Coq had won a scamble) I don’t think I saw Walcott do much tracking back either. Whether this was a ploy to catch their fullbacks on the counter, I don’t know. It did catch Moreno out on Walcott’s goal, with Iwobi playing the pass, so perhaps it was. Not sure it worked, but that was more on the midfield abandoning their posts in the second half. The tracking back to help Nacho might have helped so it seemed strange that Theo didn’t get the CF job (at least after half-time), but this feeds into the media narratives and statements made before the match. It all leads to TA’s favorite question about best 11s. Whom would they include and do Theo (and Ramsey) have spots in our first/best 11? To me, at least one could play on the right but maybe just until the window slams shut… Similarly, the central three defenders (Chambers, Holding, Le Coq) probably don’t make the first 11 either. Lots of interesting comments here and all over the Internet and many theories about why it happened. But in simple terms if we had Per and Kos at the the back I remained convinced this wouldn’t have happened. Ok neither was available, but we knew that weeks ago. We started two centre backs, one error prone (Chambers). And one very inexperienced ((holding). And who did they have to advise/lead them? No one as far as I can see. I know people don’t want to hear this, but who can put their hand on their heart and say it won’t happen again on Saturday???? How very dare you address me directly? Based on pre-season I would have started with Gibbs, instead of Monreal, and I would either have played Theo up front or not at all. With Joel Campbell and Ox both preferred wide. I don’t think it was related to Elneny playing, but I don’t think playing Ramsey at no10 worked. International football is different to PL football. Ramsey didn’t press very well, and was erratic with his positioning. It’s especially frustrating because he’s got great stamina and is technically very good, but it just seems like he’s not interested in contributing in areas other than scoring or assisting. Adrian Clarke pointed out that his run opened up space for Theo’s goal. And that end of the pitch, Ramsey is great. He does all the right things. Bring him a bit deeper and all he seems to want is to get back up there again. Very rarely last season did he curb that desire and show some discipline. It’s odd because Wenger has publicly admonished him in the past, and even just now said he has more ‘tactical responsibility’ at Arsenal than at Wales. But he seems to keep letting him do his own thing. Maybe if and when Santi, Wilshere and Ozil are available, Ramsey will be benched. Also, it didn’t prove very popular with either the fans or the player himself, but I think Ramsey at RW is interesting. It allows him to get up field into his favoured position, but also makes him more visibly responsible to be in a defensive position. He could almost be our Thomas Muller if he sets his mind to that role at least. But I think he won’t and we’ll have to rely on Xhaka to cover for him. Which is ok if it works like 2013-14, but that was two seasons ago. All in all, I’d say this game came a bit early for us. Perhaps next week will be better, though I’d venture we’ll be getting to where we want to be nearer to the Watford game. The encouraging part is that we showed enough to suggest that we could win the game with some better focus. To me that focus needs to come from the players, and if it doesn’t, the manager needs to take some action. Perhaps some of our players, like some of our fans, are also waiting for new signings and the returning players, before they mentally buckle down and feel prepared for the season ahead. I agree Holding looked pretty good ( other than the holding…. Awful joke) and given time and the right Handling could be very good. BUT if we ship another 4 at Leicester his confidence is going to suffer. I don’t think Chambers is a bad player, but he looks really nervous to me. Somebody remarked the other day he only made one bad pass in the first half,… Actually his distribution was awful, he over hit at least 3 passes. Speaking of running…gotta go…Cheers for the good chat this morning…. Yeah I agree. I think it’s reached the stage where some people will howl in anger no matter what happens for what reason. I get the legitimate concerns people have over Arsenal and Wenger. I really do. Not all of them are totally, or even a little, off base. But the level of outrage around Arsenal is completely disproportionate to where we actually are, and to how we’re progressing. Those concerns don’t stay as concerns. They become accusations of negligence, no ambition, obsolescence etc and often much worse. Which is ridiculous no matter what the original point may have been, and there’s no arguing against them. Btw, not to take away from your point about how Arsenal can less afford mistakes in the transfer market unlike City who can simply write off the likes of Bony, Otamendi, Mangala etc. But Koscielny cost 10 million pounds plus. Not 2 million. Yeah, any manager who came in (except Mourinho, but that won’t happen) would have my general support. Would I like Arsenal to be less conservative. Yes, at times. But I do not want us to replace Kroenke (who is still an unknown to an extent) with someone like the Glazers or the owners at Chelsea or City. I really really wouldn’t. Personally, I like Arsenal being self sufficient rather than just a blowfish showing how it’s the biggest in the pond. (Glazers are just leeches) Secondly, I don’t think it’s going to stop us from winning titles. Make it tougher, yes. Especially in England. But not stop us. Holding had a pretty solid debut. He did make one pretty big error for Coutinho’s second goal. But surely we can forgive him that. Especially when there were other players far more culpable. Just as long as he keeps learning and improving, that’s all we can ask. My view on Chambers is that he seems to read the game very well when the ball is in front of him and on the ground. Anytime it goes aerial he seems to be unsure whether to attack it or drop off and gets caught in the middle. I still think there’s a good CB in him. Maybe you’re right that it’s nerves, but I think he’s just short of game time. Honestly, I wouldn’t mind seeing him play again vs Leicester with Koscielny. They’ve played together before and I think it worked pretty well with Chambers looking more comfortable as a Per-lite with Kos next to him to guide him. I don’t want to divert this interesting discussion, but in the UK BBC4 are currently showing the Brazil semi final. They won 6-0, but they will be showing Gnabry in the Germany semi later, 8.00pm ko. Shard, I may have juxtaposed the two #’s re: Kos and Squill…It’s actually a long time ago now. and Wikipedia says the latter’s fee was around 4 million… Sorry about that… My point (as you well know) is that it’s the player not the money which counts…another reason I’m feeling good I went with the Elneny avatar as early as I did…In fact, I wish AW had been a little quicker getting him into the fray last winter. But there again, the management might know a bit more than we do about fitness levels and readiness to play full matches, as you also point out. I love the tradition of “anybody could manage better than that bloke” but it seems (in this slightly more modern era, at least) to have its limits. Re: ownership, I agree, but I also think Gooners will suffer in this bubble period or until owners collude to keep the absurd costs from spiraling out of control. In truth the players need to organize to create better minimum pay and a more competitive environment. In the meantime Kroenke at least doesn’t add debt to the club even if he probably couldn’t explain the offside rule or name all 4 trophies for which we compete. So we have to do better in the market but also on the pitch… One thing that really gets me is the lack of lip-service paid to the hard (and very earnest) work which Wenger seems to inspire in his teams. It may serve to inhibit some of his less than fully confident players at the various moments of truth that end up on the goal (and near-misses) clips. That’s another reason I wish Gooners could get past trotting out all the tired one-liners simply when the result fails to satisfy. I think this site is a bit of an antidote to the Twitter stuff but still I see the received wisdom hardening very, very quickly into absolutes which damn rather than celebrate. Ah well, whatcha gonna (Gooner) do?…. 17ht yes I live south of the river, south East of London, technically in Kent. I guess my local sides would be a toss up between Charlton, Palace and Millwall, but claim Arsenal via Genes. Shard just picking up on your analysis of Chambers. I like him alot. He is maturing in a way that must be expected of young footballers. It’s rare after a good start that they just continue in an upward curve of development. That he has had a shaky learning period is good for him it is probably building a lot of mental toughness. He is not quite out of this rough patch yet but I see his persistence to get through it. 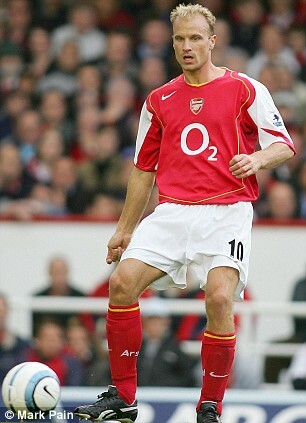 In his first number of games in an Arsenal shirt it was much more obvious that he would mature into something special. Rob Holding may follow a similar trajectory and so I would back Chambers to be the one to go alongside Kos for Saturday, in that ‘per lite’ position as you say Shard. He doesn’t possess the height of Per, but who does? Not many. He isn’t the quickest but has decent pace and in this respect is a big improvement on the bfg. Xhaka commits most fouls in the premier league last week. How long was he on? The Ox completes more take ons (two) than any other Arsenal player v Liverpool. Am assuming a take on is a dribble? Shard going back to Chambers playing The Per role of passing the ball out of defence. This might be exaggerating a little, but I don’t think I ever saw Per pass a good ball out of defence. That said I don’t think I ever saw Per play a bad ball out of defence. To summarise he just did simple passes well. Chambers on the other hand seems to have problems with the strength of his passes. He either leaves it short or balloons it into the crowd. I am sure it’s nerves and he will improve, but he makes me very nervous. That’s just it. Per makes it look simple. But identifying where and when to pass the ball so as to not put the receiver under pressure is a skill defenders who play for Arsenal need, because Wenger emphasises the verticality of movement. Adams to Vieira, to Bergkamp, to Henry, as it used to be. Xhaka and Ozil are meant to fulfil the Vieira and Bergkamp roles today. Giroud as Henry, though perhaps Alexis or AN Other will be better, and with no Per, who plays the ball out from the back. The simple pass. It can be Chambers yet, but he’s not ready it seems. Though a few more games will tell us. When he plays next to Kos, I think he gets some guidance on who to pass to, and also sometimes Kos takes that responsibility. Even driving up with the ball when he sees space. Oh and well rememebered retsub. I am indeed in India 17ht. I get to the UK once every two years, or if I can find the time and money then annually. It seems like I won’t be able to make it this calendar year, but should be there sometime this season. I have just seen the new, and instant, version of Untold’s refereeing decisions. Brilliant! Oops, and here is another. But this does feed the earlier conversation …. Whatever the ref decisions, we need to score more than we do. It’s good to see Kos and Ollie back, which we will see ourselves whacked if we are to field Chambers. He is good as a DM, but I feel that our DMs need to be closer to the defense rather than be more attack minded. We should see some changes, and those changes will be for the better. Seems as if Arsene is leaning towards bringing Koscielny back for the Leicester game. Some very fine comments on here over the last 48 hours. Thanks.